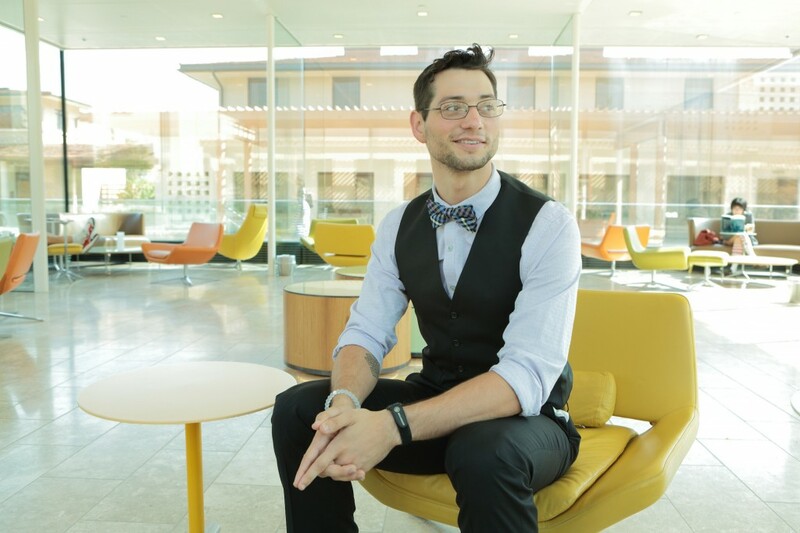 Former Secretary of State Madeleine K. Albright, President of the Harry S. Truman Scholarship Foundation, announced today that Claremont McKenna College (CMC) student Zachariah Oquenda ‘16 has been selected as a 2015 Truman Scholar. Oquenda, an Edward J. Sexton Philosophy, Political Science, and Economics Fellow at Claremont McKenna College, is the 18th Truman Scholar from CMC and will receive a $30,000 scholarship for graduate study. Truman Scholars also receive priority admission and supplemental financial aid at some premier graduate institutions, leadership training, career and graduate school counseling, and special internship opportunities within the federal government. "I am incredibly grateful to receive the honor of joining the Truman family. Being considered among other Truman Scholars and knowing how amazing they are is humbling. I have so many people to thank for this opportunity," said Zachariah Oquenda upon learning of his selection as a Truman Scholar. Oquenda often reflects on the life-changing events he faced growing up in his hometown of Henry, Ill., experiences that served as a catalyst to his future: a second chance from a judge to turn his life around, leaving a troubled upbringing behind, or moving to California alone for a fresh start just before his senior year in high school. "The Truman Scholarship really reinforces what I believe to be two important lessons. First, remain humble. Always remember from where you came and from whom. If you lose touch with those two ties, you lose touch with who you are at your core,” said Oquenda. “Second, remain hopeful. Think and re-think the possibilities: where you want to go, what you want to do, who you want to be, and why." Truman Scholars are students who have been recognized by the Truman Scholarship Foundation as future "change agents." They have the passion, intellect, and leadership potential that in time will enable them to improve the ways that public entities serve the public good. The Truman Scholarship Foundation selection panels met across the United States and included distinguished public service leaders, elected officials, university presidents, federal judges, and past Truman Scholarship winners. They reviewed more than 600 applications from almost 300 institutions. Based on their records of leadership, public service and academic achievement, 200 finalists were selected, but only 58 of the most exceptional college students were awarded the scholarship. There have been 3,023 Truman Scholars selected since the first awards were made in 1977. The 2015 Truman Scholars will assemble May 19th for a leadership development program at William Jewell College in Liberty, Missouri, and they will receive their awards in a special ceremony at the Truman Library in Independence, Missouri, on May 24, 2015.